Martin Goldstein, cantor at HEA for 25 years, will become the cantor of BMH-BJ, effective Aug. 1, it was announced April 13 in emails to the members of both congregations. Joel Lichterman, who has been the cantor at BMH-BJ for 23 years, will become cantor emeritus at the end of June. 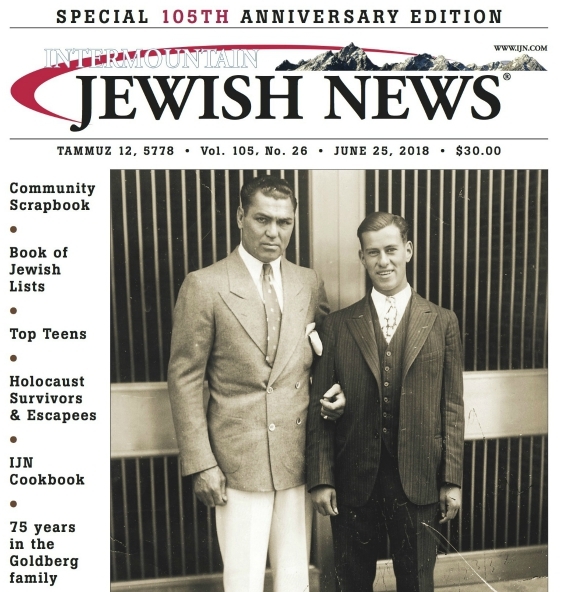 Goldstein’s affinity for the Denver Jewish community goes back to his childhood. Goldstein’s father, the late Cantor Jacob Goldstein, served as cantor of BMH, 1970-73. Three months after Cantor Jacob Goldstein’s arrival in Denver, 700 people attended Martin’s Bar Mitzvah at BMH. He attended Hillel Academy for eighth grade and Yeshiva Toras Chaim for ninth and tenth grades. Martin Goldstein returned to Denver in 1993 to become cantor at HEA in its former location on Denver’s West Side. He moved with HEA from the West Side to southeast Denver and as it changed from a traditional to a Conservative congregation. In addition to his cantorial duties at HEA, Cantor Goldstein has recorded albums and performed concerts around the country. HEA officials noted that Goldstein’s final day at HEA will be July 6, and he will be honored at a Shabbat dinner in June. HEA holds a non-traditional service, Shir Chadash, concurrent to its traditional weekly Shabbat morning service, which has been led by Cantor Goldstein. Rabbis Bruce Dollin and Salomon Gruenwald alternate between the traditional and Shir Chadash services. A committee is being formed to address the needs of the traditional service. HEA will hire a temporary, professional cantor for the High Holidays. Kline praised Cantor Lichterman: “We admire, respect and acknowledge the contributions that Cantor Lichterman has made to our congregation and community. Kline told the IJN that Goldstein was chosen from among 25-30 applicants for the cantorial position. He stressed that Goldstein initiated the conversation with BMH-BJ regarding his candidacy for the cantorial position there. Goldstein, 60, said the position at BMH-BJ offers “a chance to try something new at this stage in my life.